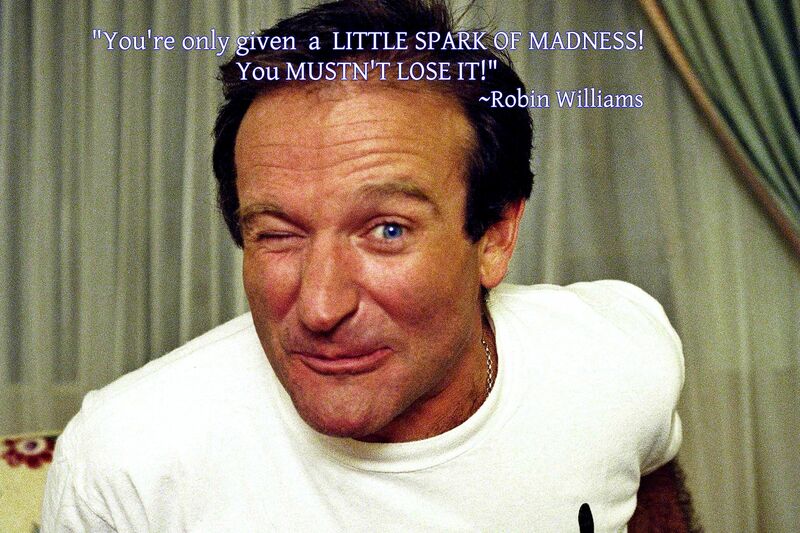 I can’t possibly think of anyone who has brought as much joy and laughter to the world as Robin Williams. When in college, I first saw his HBO special in 1978, I thought I’d died and gone to heaven!. He was relentless in his pursuit of your smile and laughter. I’ve been laughing ever since. What an inspiration! The way I see it, Robin didn’t really take his own life. Depression did, as it has so many others. WHY NOT DO THIS WONDERFUL MAN A FAVOR? KEEP LAUGHING! It’s what he lived for and I imagine, what he would want. This video is my small way of saying “Thank you” to my only celebrity crush…the guy who teaches us to laugh at ourselves. Next Next post: Ain’t That A Kick in the Head!